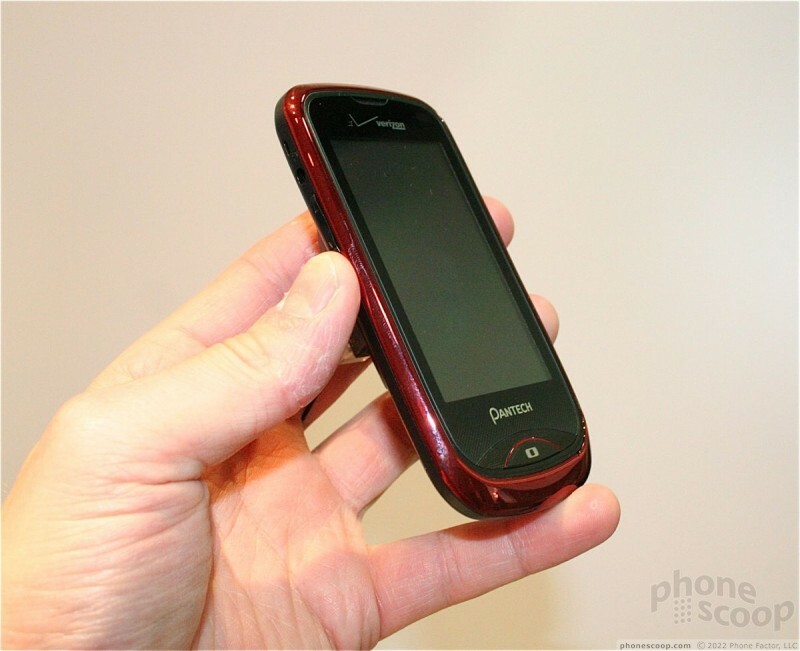 The Pantech Hotshot is a touch-based feature phone that runs Verizon's non-smartphone touch user interface. It is an inexpensive option for those who want a touch phone, but don't want to spend a lot of money on the device or the data plan. 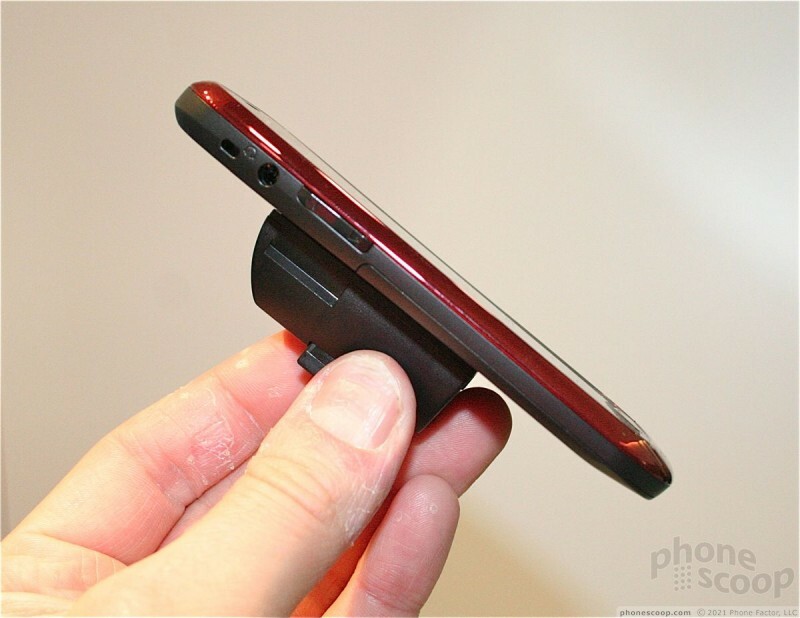 It features a 3.2-inch display and a 3.2-megapixel camera with video capture. The Hotshot has three home screens that can be customized with user-preferred content and apps and a full suite of messaging and social networking software. The Hotshot includes apps such as the Opera Mini browser, in addition to niceties such as Bluetooth and GPS for navigation and such. 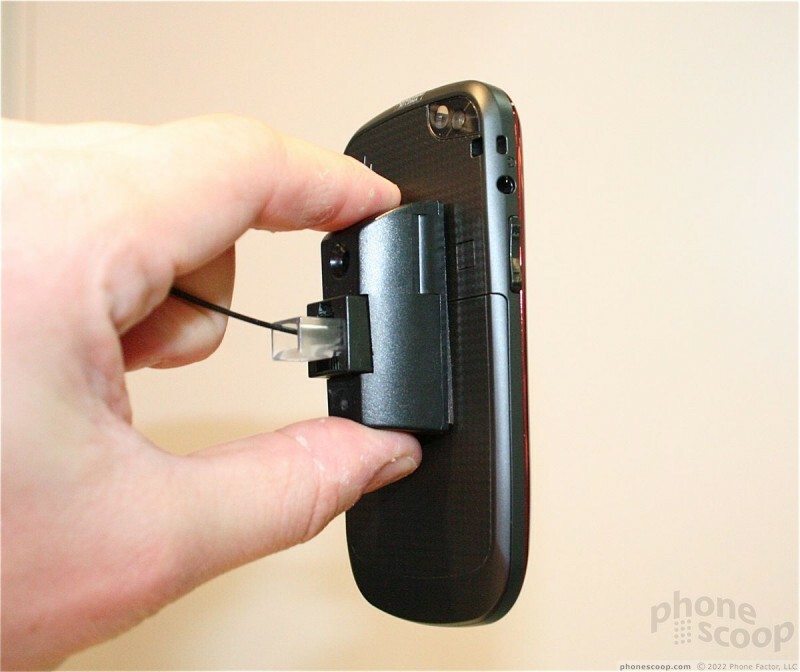 The Hotshot is incredibly thin and light. In fact, it hardly has any weight at all. The tiny footprint will certainly be appealing to some potential users. The volume toggle is on the left edge, and has a nice shape to it. It is easy to find, and very good travel and feedback. The 3.5mm headset jack is above it. 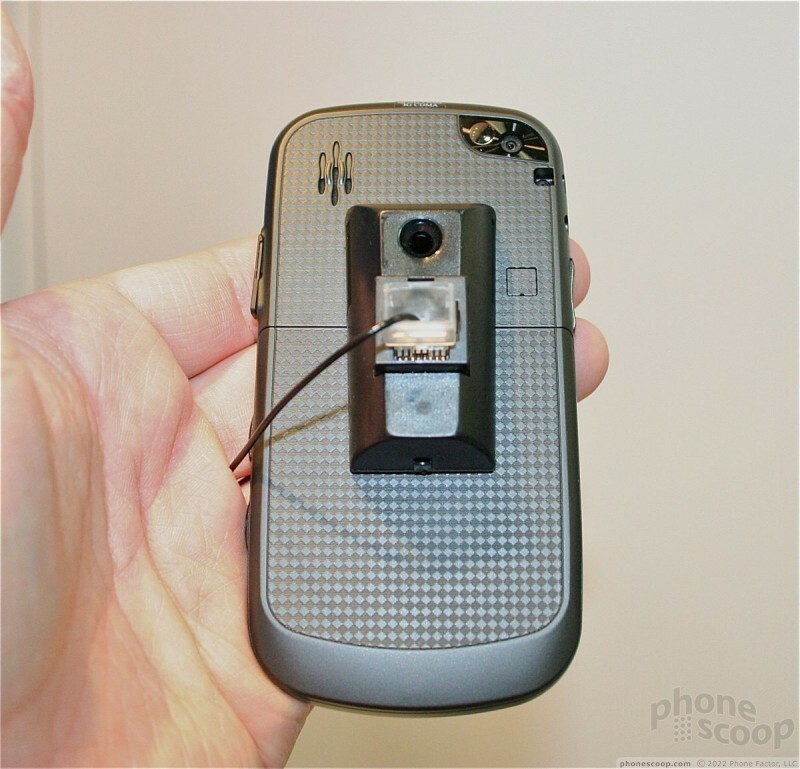 On the right, the Hotshot has a microUSB port, screen lock/power button, and a camera button. I thought these buttons were a bit on the small side, and didn't quite provide the amount of travel and feedback that I like. Given the importance of the power/lock button, this could be problematic. The display is ho-hum in quality and pales in comparison next to the latest Android smartphones. For what it is, though, it still comes across as clean and bright. There is a single, large button below the screen for jumping back to the central home screen. 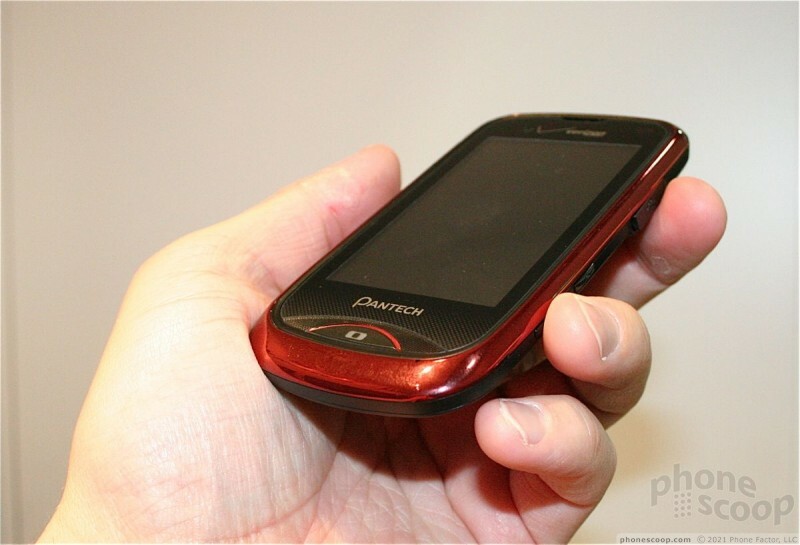 The feature phone user interface is similar that seen on LG's touch-based feature phones. It has three home screen panels that can be populated with widgets and other shortcuts, while still providing access to the phone app, contacts, and so on. It was reasonably responsive and I didn't notice any lagging. 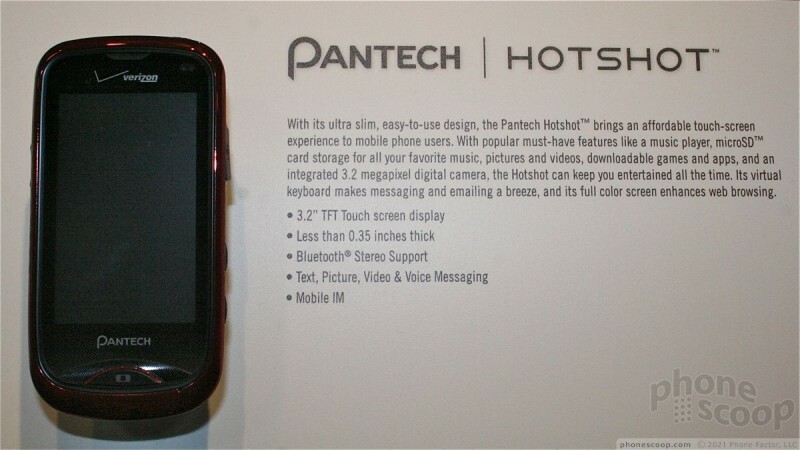 The Pantech Hotshot is a decent little touch phone for the user who wants in inexpensive touch device. U.S. Cellular has started selling the Pantech Verse, their version of Pantech's Jest 2 for Verizon. Blu recently announced the Vivo 5R, a well-spec'd device that it plans to sell directly to U.S. consumers. Verizon Wireless has published information on its web site about an unannounced service offering called Unleashed. Based on Verizon's site, Unleashed is a new pre-paid service that offers unlimited talk, text, and web for $50 per month.